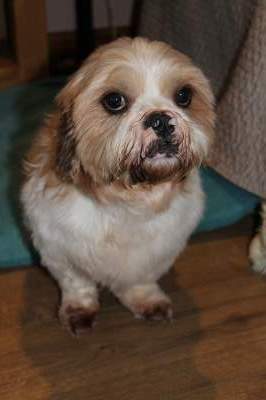 This is Buster a 7 year old Shihtzu who has had to come into rescue because his owner could no longer look after him. 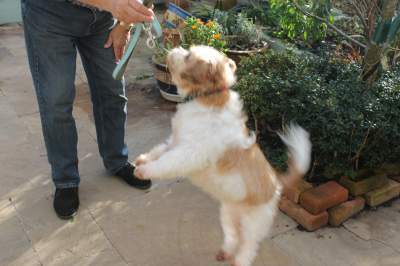 He is neutered, vaccinated, microchipped and has recently had a dental as his teeth were in a bad way. He feels much better now despite only having 3 teeth left, but that certainly doesn’t stop him enjoying his food and treats. He is a very happy dog that loves children, people and other dogs in that order! He loves his walks and is currently happy with a longish walk in the morning and another in the afternoon. His recall is good, especially if there is a treat in the offing, and responds to a sharp whistle. He is a well behaved dog who likes a snooze in his bed in the evenings and overnight. He likes to be with you during the day and see what it is you are doing. Loves being out in the garden with you too. 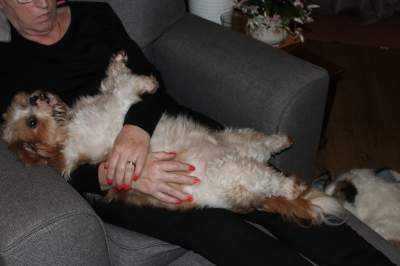 Ideally Buster prefers not to be left alone for too long as he likes human company the majority of the time. 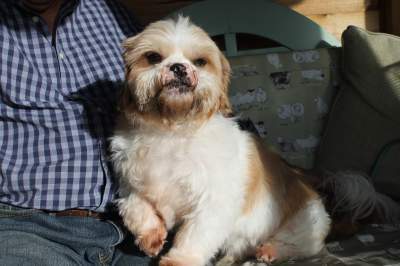 All in all, Buster is a lovable little fella and would make an ideal companion for a couple or a single person who may have visiting grandchildren. 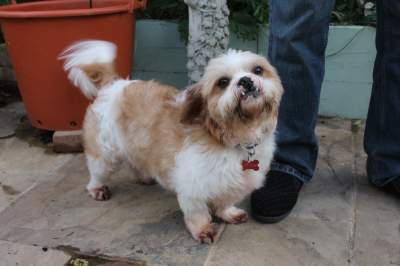 Someone who will enjoy walking would be his ideal family as he loves the great outdoors and country walks. 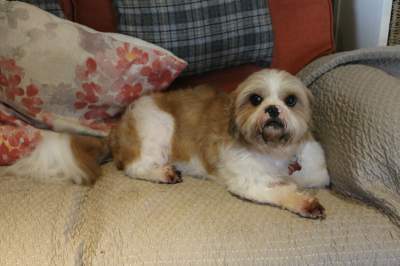 Although Buster is currently being fostered where there are two other dogs, he would be happier living as the only dog. For more information please call Helen on 01444 400371.